Induction machine and induction sealing wads printed and un - printed. Glass Agencies EROSE are manufacturer of Ampoule Filling and Sealing. Backed by our diligent industry professionals, we are involved in the business of Bottle Sealing Machine. 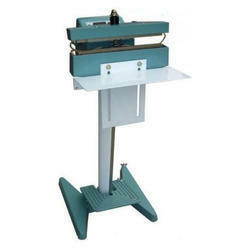 Bottle Cap Sealing Machine : Portable, hand operated equipment with two extra cap holders of different sizes. 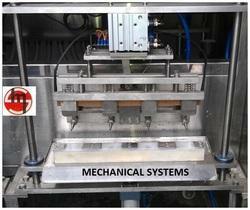 - Temprature controller : Digital to set plastic material temperature. Hand lever sliding movement with toothed jaws, spring action release of jaws and a robust construction. High speed sealing system, Machine mounted on caster wheel for easy movement, Pouch guide system for straight sealing, Digital Temperature control system for easy display and accurate control of the temperature of the heaters, Automatic Up-down of conveyor system. - Application : Pouches of Seeds etc. Osaw Industrial Products Pvt. Ltd.
To cater variegated demands of our esteemed clients, we are highly engrossed in manufacturing a wide range of Bottle Sealing Machine.